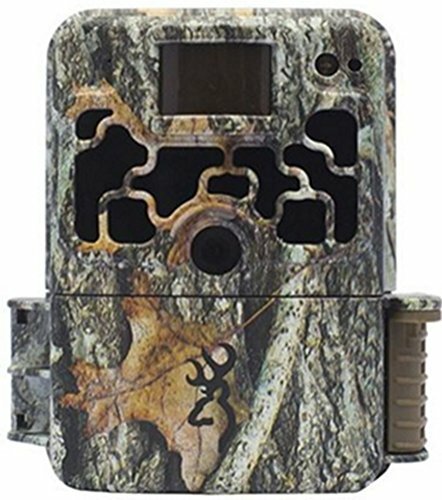 As trail cameras become more and more popular for use in such things as the scouting game and other types of area surveillance, the choices you have for them in the marketplace gets bigger too. However, that does not mean that all those game camera choices are good ones. So you have to be a little bit particular about the brands of cameras that you are looking at when going to buy a new trail camera. One of the most popular trail camera brands are those made by Browning. Why do Browning trail cameras have such a good reputation? They have a reputation for making game cameras that are easy to program, built well and loaded with outstanding features. Let’s take a closer look at a few of Browning’s top trail camera models and look at some other characteristics of this game camera company’s products that make them so in-demand among hunters. Flash Range : 120 ft. 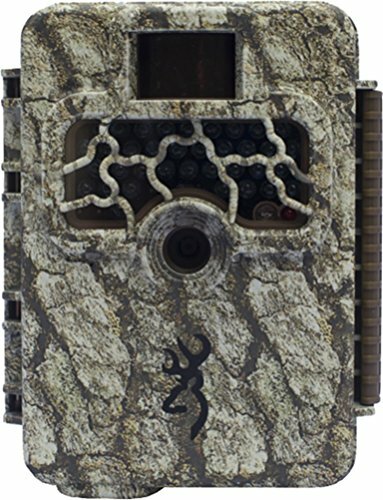 This is one of Browning’s top of the line game cameras. It’s very highly rated by those that have purchased and used it. The Browning Strike Force HD 850 Trail Camera is known for taking very good nighttime and day photos that are very clear. Among its better features are such things as a very generous 120’ nighttime flash range and an equally impressive 80’ motion sensing range. Its red glow LED flash bulbs are also very hard to detect by both humans and animals unless they are looking almost directly at the camera. 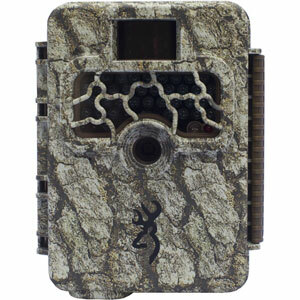 Some other impressive features on this Browning trail camera include its trigger speed and its recovery speed between photos. The HD 850 has a very fast 0.4-second trigger speed from the time the motion sensor detects movement. It’s also ready to take another photo after just 0.8 seconds. 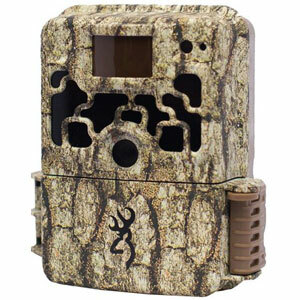 This is yet another top-end trail camera product from Browning. It too gets rave reviews from those hunters and other users that have bought and tested it. The Browning STRIKE FORCE ELITE Sub Micro Trail Camera is a compact game camera that performs much bigger than you would think it can for a trail camera its small size. What are some of this well-designed webcam’s best features besides its compact size? It boasts exceptional nighttime photo taking for one. This is helped out greatly by its 80’ motion sensing range and 36 red glow LED flash bulbs that light an area up out to 100’. Throw in 16 MP black & white photo resolution and zero-blur technology and you can see why the nighttime photos it takes come out looking so clear. It’s one of the few trail camera models that can take nighttime video too. Other nice features you get with it are it is very fast 0.4 second trigger time and its 720P video with sound. It’s also a trail camera that is said to be easy to set up by those that have used it. There are those among us that feel this is among Browning’s best trail camera designs. 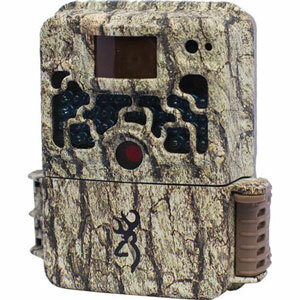 It has the feel of a game camera that had a lot of input from experienced hunters when it was designed. It takes high-resolution day and nighttime photos and shoots some nice 720P HD video on short bursts too. 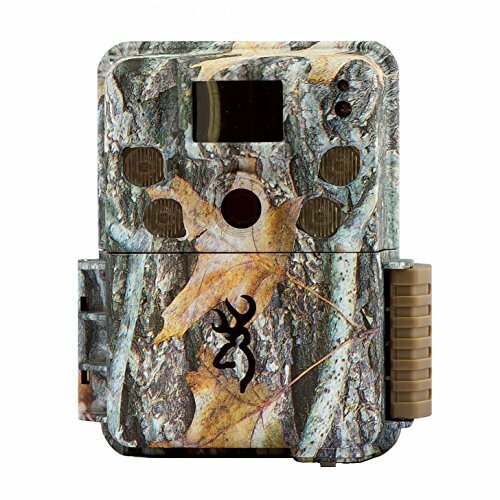 What makes this one of Browning’s most popular trail cameras? A lot of that has to do with its nighttime photo taking capability. Its red glow infrared flash can light up and area up to 120’ out from where this camera is placed. The Browning STRIKE FORCE PRO Micro Trail Camera also uses this company’s proprietary zero-blur technology when taking nighttime photos. Among some of its other popular features are its lengthy 80’ motion sensing range and its rapid 0.4-second trigger speed from the time its first senses motion. It’s also ready to snap another photo in just ½ second after the previous photo has been taken. 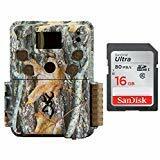 This trail cam even comes with an included 16 GB SD card. Most reputable trail camera manufacturers will put out an introductory line of game cameras that have a very budget-friendly price. That’s exactly what Browning does with their Command Ops game cameras. They make an excellent trail camera for those that are new to using them and want to get their feet wet with using game cameras before making a bigger investment in them. Don’t mistake the words ‘budget friendly’ for meaning that these game camera models are not very good trail cams. 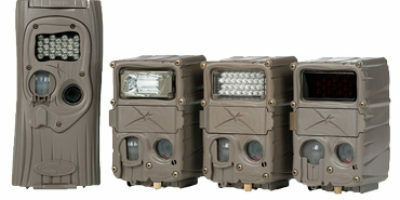 Their feature such nice characteristics as a 55’ motion sensing range and a 60’ nighttime flash range. With them, you will also get 14 MP photo resolution and decent 480P video resolution with them too. 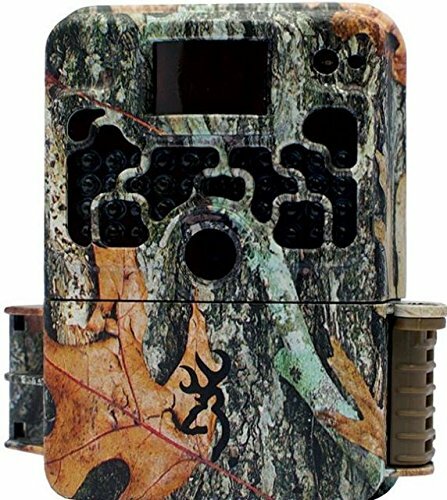 This affordable game camera line also has such things as fully programmable photo shooting modes and uses lo-glow infrared technology for its nighttime flash. This is another somewhat budget-friendly entry from Browning into the trail camera marketplace. It’s a step up over their Command Ops game cameras. They feature very decent photo resolution and higher HD quality 720P video taking. They do a lot for a trail camera that’s not overly expensive. 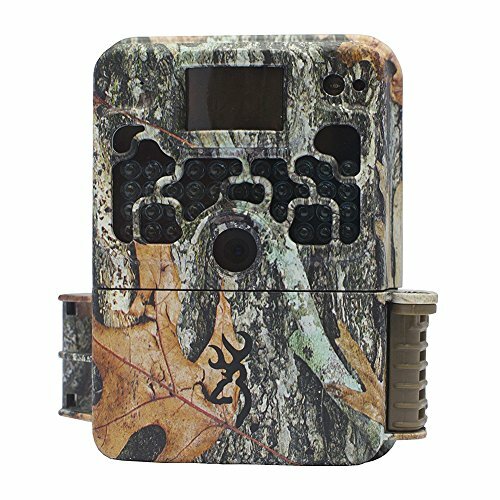 These camouflaged designed trail cameras are built tough to last and are very nice for trying to determine if an area of land is worth hunting or not. Among this Browning game camera line’s best features are its black infrared nighttime flash with its generous 70’ range and its 55’ motion sensing range. 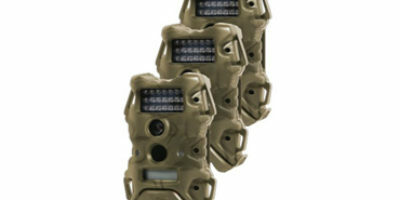 The Browning Dark Ops Elite trail cameras will even shoot up to 20-second video bursts at night. 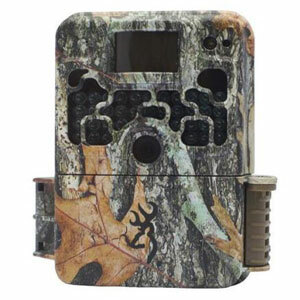 Other features to note are the multiple programming options you get with this model trail cam and its very fast 0.4-second trigger speed from the time it senses motion. It even features a backlit display screen to help make programming it easier. If you want a trail camera that does a little bit of everything without breaking the bank, then this might be the type of game camera you focus on when doing your shopping for one. The Strike Force HD Pro Trail Game Camera is a very well-rounded game scouting camera that offers as much as many higher priced trail cameras. What makes it such a good trail cam buy? It all starts with its very good 18 MP day and nighttime photo resolution and its long 80’ motion sensing range. These features are also backed up by such things as a 0.3-second trigger speed and 720P video shooting complete with sound. Other features not to be overlooked for sure are such things as its 120’ nighttime infrared flash range and the fact it has a 1.5” viewing screen built into it also. 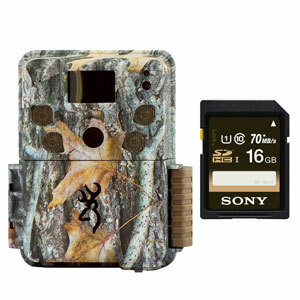 This trail cam model can also handle SD cards that are up to 512 GB in size. That means you will seldom have to worry about overwriting your SD card on a regular basis. One thing that Browning does a very nice job with is the style of the exterior designs of their cameras. This is especially true of the camouflaged models. Those that use them rave about how hard they are to see when placed on the right tree in the right way. They just seem to blend in very well with such things as natural tree colors and tree bark patterns. This will help reduce the threat of theft a little which is a big problem with trail cameras. 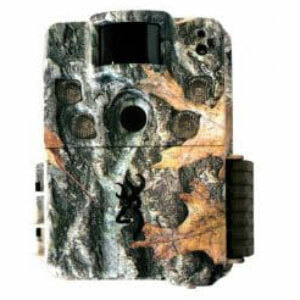 Browning game cameras are known for giving those that use them lots of video and photo taking options. This makes them very versatile trail cameras. As an example; the photos you take with most of Browning’s game cameras can be done using such things as delay, timed, rapid fire or in time lapse mode. One thing Browning is known for is having many different accessories available to compliment how their trail cameras work. These include such things as high-security boxes to attach them in (great when these cameras are used in the urban area for surveillance) and specially built locking cables too. There are other helpful accessories available besides security enhancements too. One of these is Browning’s very good tree mount attachment kit. They will also sell you alternative power source kits such as a solar power kit or a plug adapter to use if you have a power source nearby where you are mounting your Browning trail camera. We really like the way that Browning makes you feel comfortable when purchasing one of their trail cameras. It all starts with their very generous 90-day money back guarantee. If up to 90 days from your date of purchase you are not satisfied with your purchase Browning will give you your money back. Browning has enough confidence in the way they build and design their game cameras that they actually encourage you to try them out to make sure you are fully satisfied with them. All is not lost if you have a problem after 90 days either. They back up each of their trail cameras with a full 2-year warranty. This tends to be the industry standard these days and it’s a generous amount of time to expect to get out of a trail camera without having problems with it. Browning definitely tries to give you as much peace of mind as possible when purchasing one of their trail cameras. No matter which type of Browning trail camera review you read it’s not hard to find a good one. Even the more budget-friendly models from Browning tend to work great and will tell you exactly what you need to know about the game that travels in a particular area of land. We have looked at many different brands of game cameras and browning trail cams will hold their own against any of them. What do we like best about browning game cameras? For one, you seem to get a lot for what you pay for them. This is true for not only the budget models but it’s true for their higher end game cameras too. Everything from their easy programming to superior construction speaks volumes about how much thought Browning puts into their trail camera designs. We don’t really have a game camera on this list of Browning models in this article that we would hesitate recommending for purchase. Browning definitely knows what they are doing when it comes to making trail cameras.